The cause of the suicide was yet to be ascertained. 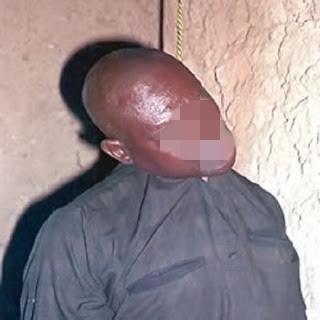 Sources said the man, identified as Christian, 44, locked himself in a room and hung himself with a rope on Saturday. A source said the deceased, who was unmarried, was staying with his brother and was said to have been recently transferred to Lagos before the incident happened. The Gwarinpa Divisional Police Officer, CSP Nuruddeen Sabo, said the brother whom the deceased stayed with was at a barber’s shop when the incident happened. He said the man was confirmed dead at the Kubwa General Hospital. “Exhibits recovered include some drugs and knife.” Preliminary investigation, he said, had revealed that the deceased was sufferering from depression.